That beautiful quilt top that you have worked on for so long is finally finished! Maybe you inherited a quilt top from your Aunt Gladys or picked one up at an Antique store. Whatever the case, now you need to decide how to turn it into a complete quilt. The biggest decision you'll need to make is....should I hand or machine quilt it? If you are like me, you probably decided which way to go during the design and sewing process. Here are a few insights which might help you make that decision. 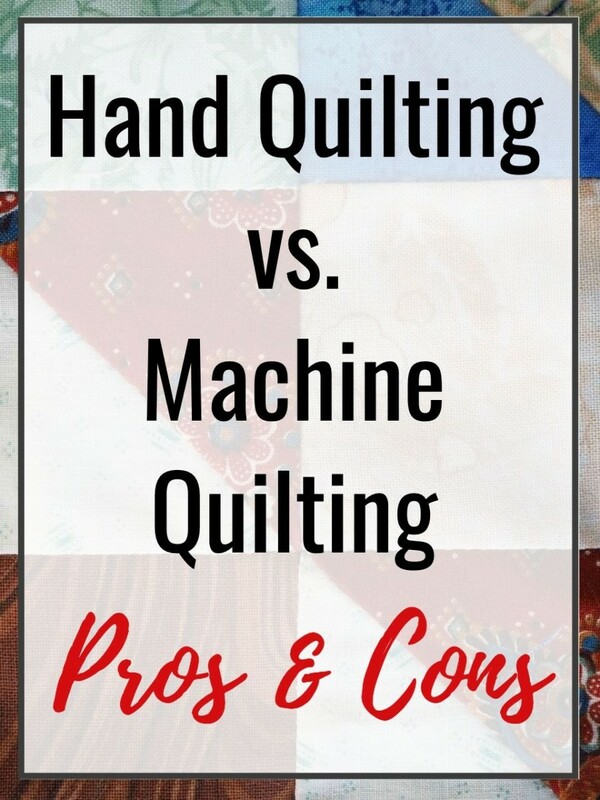 If you are at the point of deciding between hand and machine quilting then this info will probably be redundant, but sometimes it's nice to get a refresher. 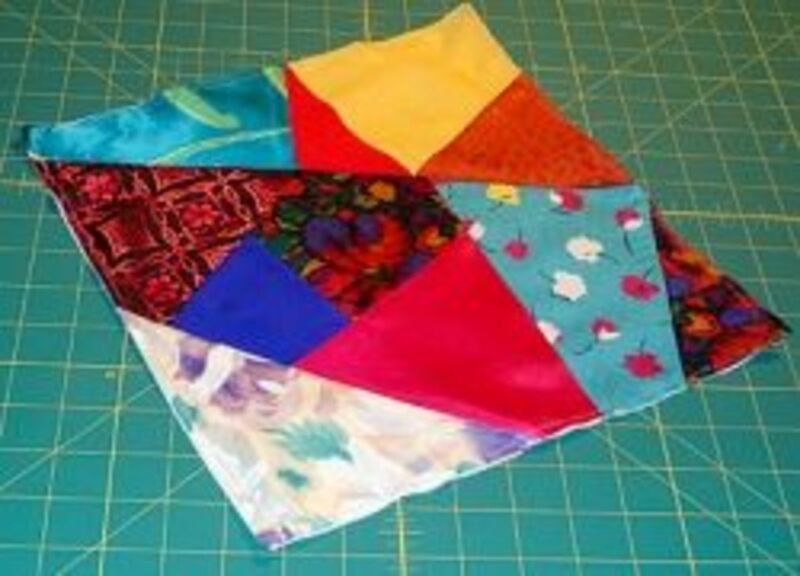 Quilt top - This is the layer that is made by sewing together various shapes and sizes of fabric. It is the design part of the quilt, the "picture" so to speak. Middle - This layer is the batting or the filling of the quilt. There are many different options that you can choose from. Backing - Usually, but definitely not always, this layer is made from one piece of fabric and is the part of the quilt that lays on the bed or hangs against the wall. Once the layers have been assembled you are ready to quilt it all together. 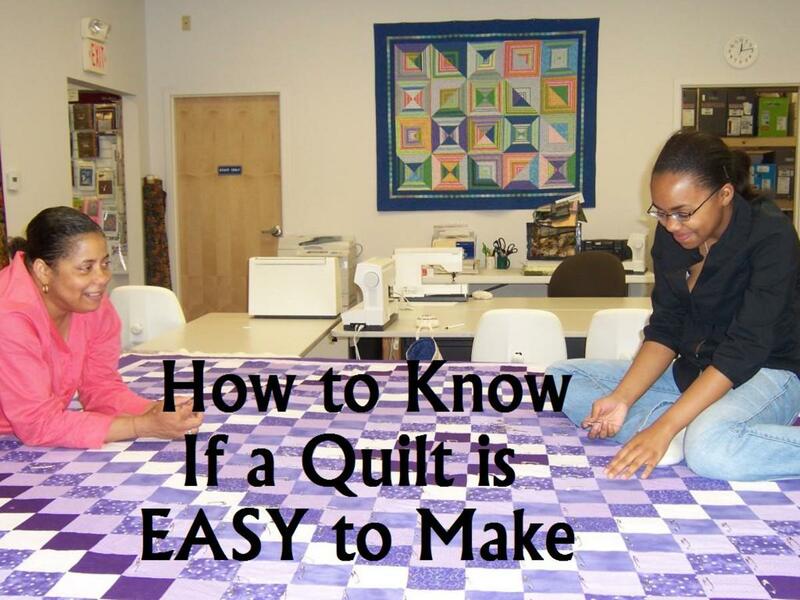 Quilting - This is the sewing process that joins all 3 layers of the "sandwich" together. A quilt can be hand or machine quilted. It can also be tied, but we'll save that discussion for another day. 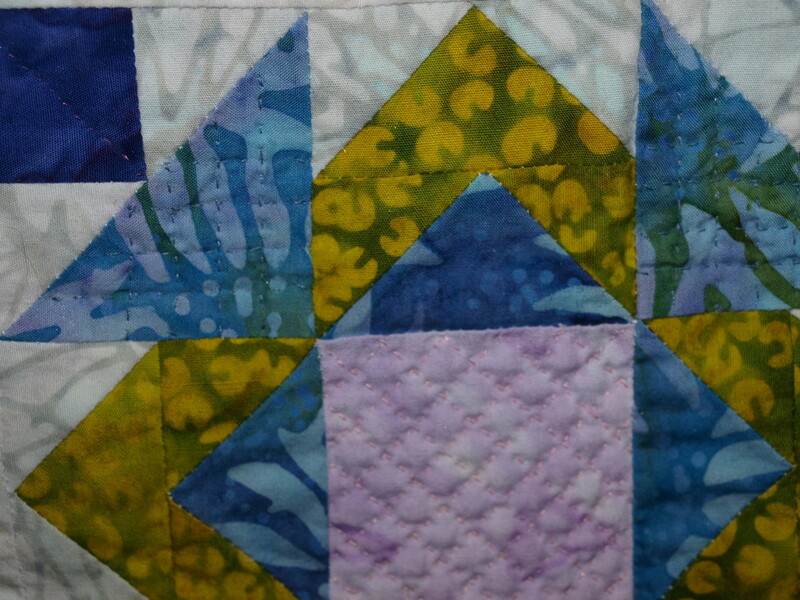 Binding - This is the last step in the process and "binds" the layers together around the perimeter of the quilt. 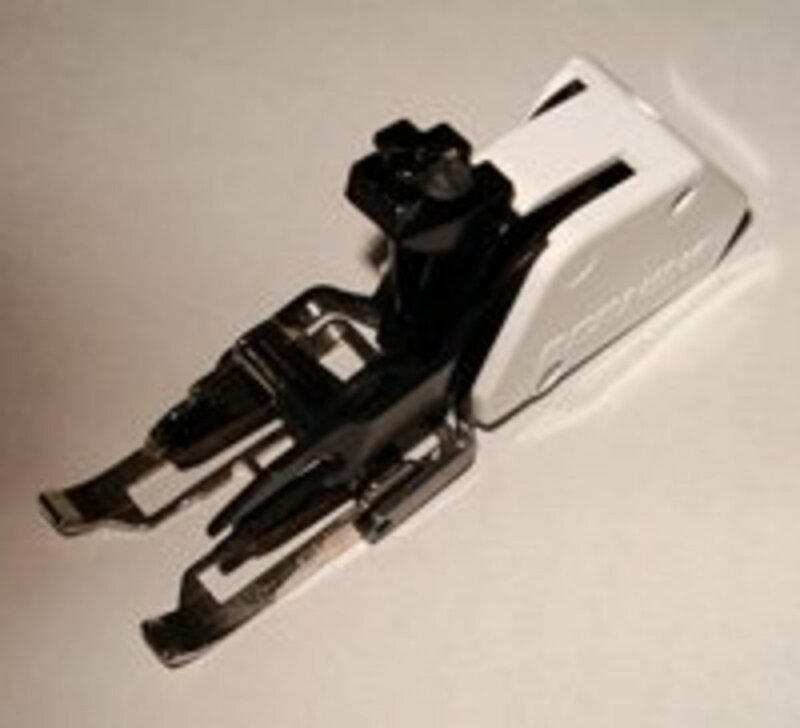 Do you prefer to hand or machine quilt your pieces? When I first started quilting I did everything by hand and it took forever to finish one quilt. Some of those quilts are still among my favorites today. Once I learned how to use a sewing machine and subsequently started using the services of a professional machine quilter, a whole new world opened up to me. Today I use both methods. Size of quilt - About 50" x 50" is my limit for hand quilting these days. Fabrics used - Some fabric is easier to hand quilt than others. Batiks are tough and can be rough on fingers that aren't as nimble as they used to be. Silks are slippery. Quilt use - If the quilt is going to be on a bed, used and washed fairly often, then it is getting machine quilted. 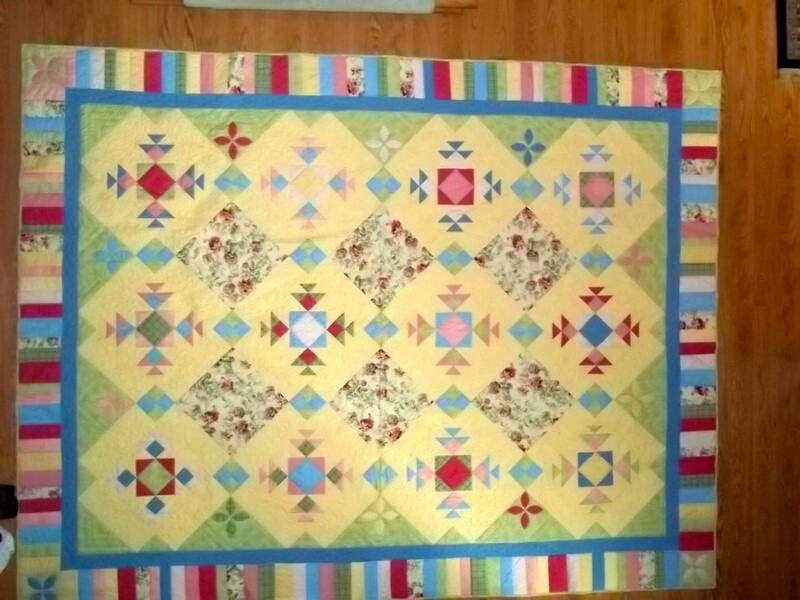 Age of Quilt top - I once found beautiful antique quilt top at a shop and hand quilting fit it perfectly. Quilt pattern - More modern patterns beg for snazzy machine quilted designs. What the quilt top is "saying" to me - This sounds a little corny, but it's easy to get attached to a quilt top after you've worked on it for a while and sometimes it will "tell" you how it should be quilted. Hand quilting is traditional. Chances are that every quilt you see in a historical museum has been hand quilted and, while there are not as many quilts being made this way today, there are many people who still enjoy hand quilting with beautiful results. To me, hand quilting is very pure and there is something special about it. 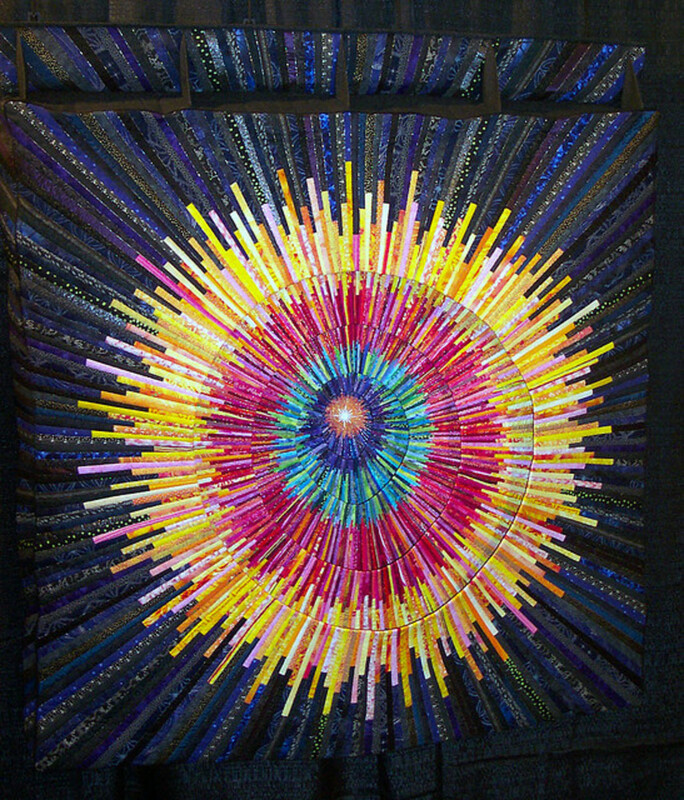 When I hand quilt a piece, I know that I have made that quilt from beginning to end. It is my piece of art. Once I get in a groove, I can sit and quilt for hours. It's very relaxing, almost therapeutic. There are professional hand quilters who do lovely work, but I prefer to do it myself. In general, hand quilted pieces have a more "wrinkled" look to them. They tend to look a bit "softer". Machine quilting is newer and can be done at home on your machine or sent out to a professional quilter who usually uses a longarm machine. These are amazing pieces of equipment which can take up an entire room and do wonderful things with thread. At quilt shows today, the majority of quilts are machine quilted with exquisite results. Things can be done on a machine that just can't be done by hand. I have machine quilted a few pieces, but to tell the truth, I am not very good at it and my sewing machine is not the best for fancy quilting designs. When I decide that a top will be machine quilted, I send it out to a professional quilter. Before I moved a few years ago, I worked with a wonderful professional quilter. After a few quilts, I trusted her enough to let her create her own quilting designs on my top. She did beautiful work and we went on to collaborate and win a 2nd place ribbon and a "Best in Show" ribbon at quilt shows. Now I work with a lovely lady who does a great job. It took me a while to find her, but after seeing her work at local quilt shows I knew she was the right person for my pieces. Machine quilted pieces tend to have a "crisp" look to them and sometimes seem to be more heavily quilted. 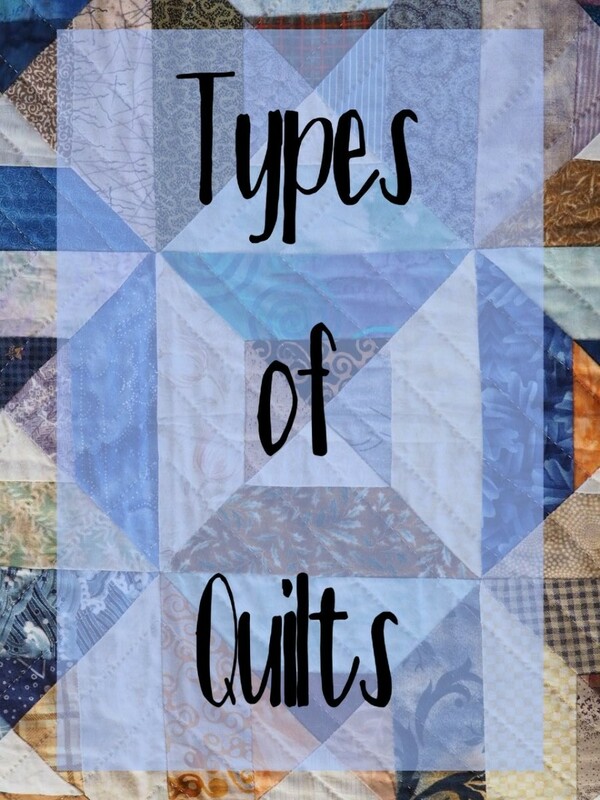 Most quilters prefer one method over the other. I love them both, but I have to say that when I see a quilt that has been beautifully hand quilted, my heart skips a beat. In the end, the decision to hand or machine quilt is entirely up to you. It's your work of art, your name is on it. Do whatever feels right. I've never regretted my quilting choices and am proud of all of the quilts I have made. I know you will be proud of your work too. It's probably best if you make that decision based on what you are more comfortable doing. Whichever method you decide, I'm sure your husband will love his quilt. Although I read many different directions on how to machine quilt, I experience much frustration in trying to do so. I either get "pinches" in the back of my quilt even though I tug and tape my backing fabric and I also cannot see where the stitches are going as well with machine quilting, so I wind up not liking the quilting in the ditch because it is sometimes not uniformly even in spots. 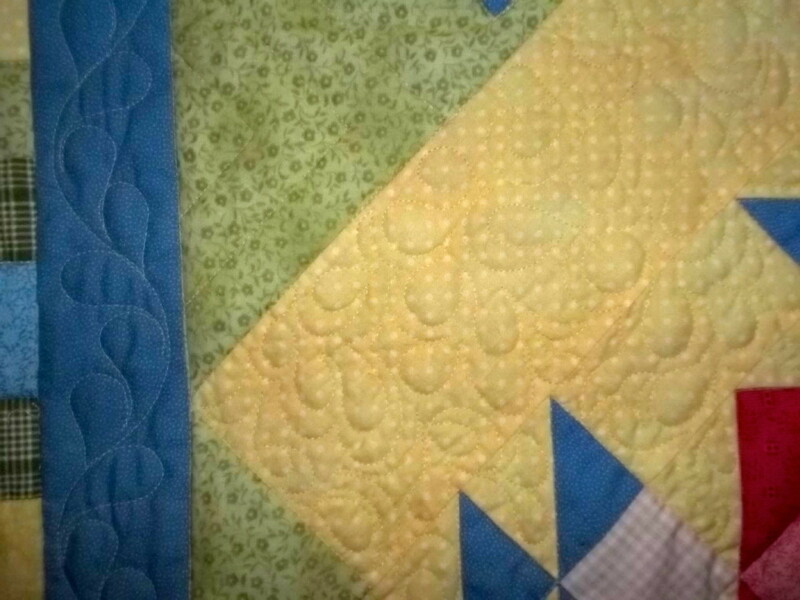 I also like the puffy look of the hand quilting. The disadvantage is that it does take longer. Also I tend to like more traditional quilting patterns done with stencils, so I would have to say that I am more of a hand quilter. Hi Rangoon House - I hope you give quilting a try. It really is a nice hobby and you can get such nice results. Good luck and thank your for reading and commenting. 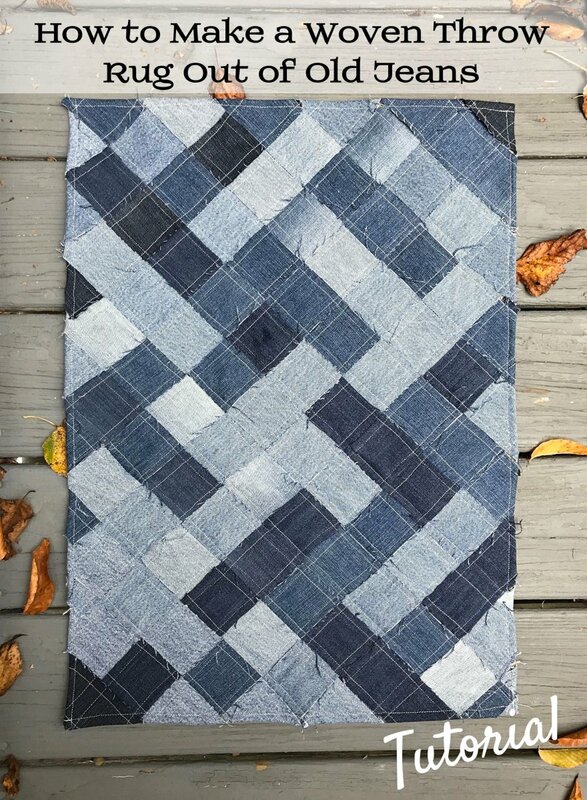 I've never made a quilt, but I've been toying with the idea since the new year, so I'm sure I'll be back again for more of your advice and tips. Aww thanks for reading my first hub and hope it helps Bev decide if she is going to hand or machine quilt her pieces. Happy Thanksgiving to you too Bill. Trying to get to my comments before I have to start cooking! I thought I'd go back to the very beginning. Bev wants to get into quilting so I'll pass this along to her. I'm not sure where she thinks she will find the time, but hopefully she can and will. Thanks for the info...and Happy Thanksgiving! Thanks so much for your kind comments and support. Have fun quilting and I'll have to check out your hub! I am learning so much about quilting. My sister has been quilting for about 5 decades and I have never learned so it is about time. As I explore here on HubPages I am finding a wealth of information. Maybe I will be able to display one on here some day. I have learned so much from this article that will be helpful to me. I am bookmarking it so I can refer to it often. I feel like the little kid just beginning to learn a skill. Thank you so much starstream! I had fun making them. You are right about preservation. It's so important. I admire these beautiful works of art quilts sewn with so much love for family. It certainly was a long task to complete these pieces. Preservation and display is important too. I would love to get one of those too, and by itself it is also out of my price range, but I would also need space to put it! Thanks so much for your comments Millionaire! Unfortunately my right hand gives me trouble so, like you, I only hand quilt my smaller pieces. My dream would be to get one of those massive long arm quilting machines, but they are way out of my price range. I don't know how I missed this hub, but you've provided a great comparison between hand quilting and machine quilting. I do both - my wrists cannot handle a great deal of hand quilting, so I limit that to my smallest quilts. I am practicing my free motion quilting, since I am not willing to pay a quilter to quilt it for me. I was very nervous at first, but now I really enjoy free motion quilting. It is kinda like playing a driving video game! I enjoyed looking at the pictures. 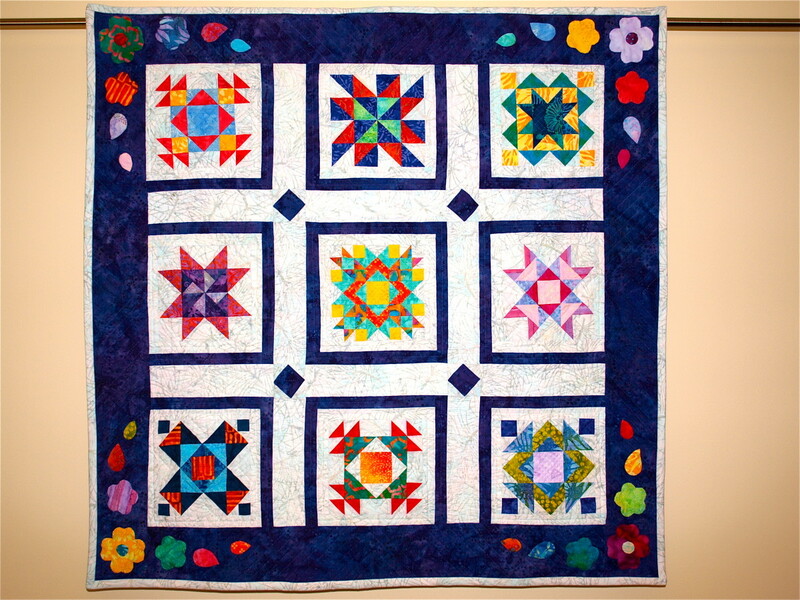 I really like the diamonds in the sashing and your beautiful hand quilting! Thanks so much LPogue! I appreciate your comment! Good luck with giving it a shot. You have done some beautiful work on these quilts. I have hopes and plans, but never seem to get around to piecing a quilt. Thanks for your comments LaThing! lol, Tammy, I come from a long line of Non-Quilters, and I tried it after leaving my profession, loved it! Haven't done it for a while though. I prefer machine quilting, so much easier. Great hub, GlimmerTwin Fan, enjoyed reading it.... Awesome, and useful. @tammyswallow - Thanks for your comments! 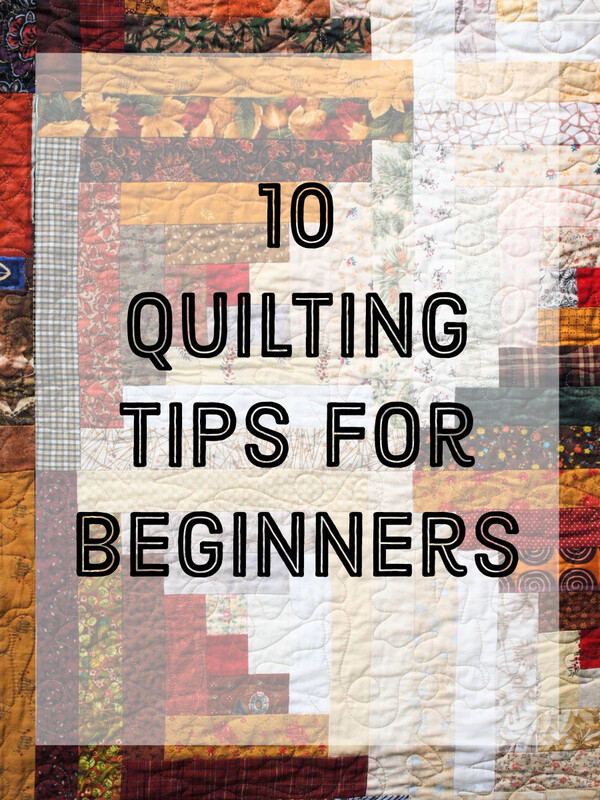 I hope you give quilting a try! @ Pamela N Red - Thanks for your comments! There a a lot of folks who agree that hand quilting is the only way to go. In my opinion, machine quilting ruins a quilt. I have quilted for decades and will always do it by hand or not at all. Yes, it takes a long time but you have to enjoy the process as well as the end result. I have noticed that people either prefer piecing the tops or quilting them. 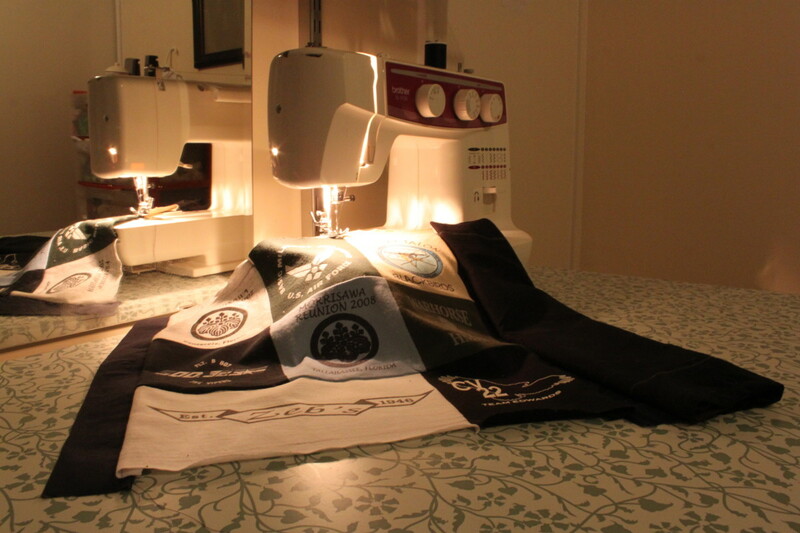 Those that prefer piecing and enjoy using a machine are usually the ones that resort to machine quilting. I have always preferred handwork, even hand piecing many of my quilts so hand quilting is just my thing. I stopped going to quilt shows a few years back because most of them are now machine quilted and that took the enjoyment out of it for me. I always enjoyed looking at the fine stitching. I come from a long line of quilters, but I have never done it. Gorgeous photo. Your hub makes me want to try it. Voting up and pinning. @cloverleaffarm - Thanks for your comments.! This is my first hub so I am a bit nervous. Not sure what voted up means though. That machine looks daunting, but the results can be great! My machine quilting on the other hand....not so great. I too have done both but hand quil.ting to me is easier...that machine can sure make a top look messy if you are not proficient at it! I have done both hand quilting, and machine quilting. I usually choose the machine, because it is faster. I envy those who have the patience to hand quilt. Great hub, voted up.